We’d love your help. Let us know what’s wrong with this preview of Looking for Splasher by Nancy Walker. To ask other readers questions about Looking for Splasher, please sign up. A simple story featuring a family of Tasmanian devils looking for their little sister who disappeared during a game of hide-and-seek. 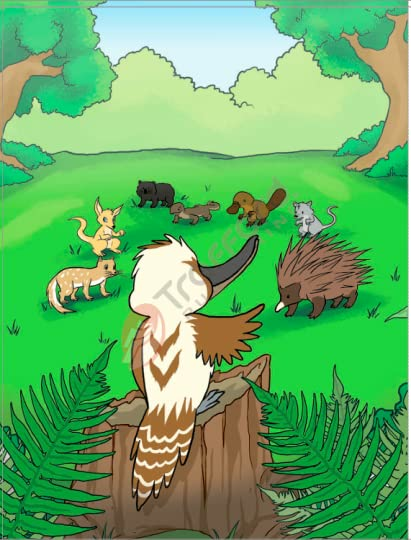 They ask a kookaburra bird for help, who in turn organizes a proper search party made of several other animals: an echidna, a wallaby, a platypus and a wombat. They all look for Splasher in places where they would normally find their favourite food. In this way, children are introduced to habitats and feeding habits of these animals. Naturally, there is a happy en A simple story featuring a family of Tasmanian devils looking for their little sister who disappeared during a game of hide-and-seek. They ask a kookaburra bird for help, who in turn organizes a proper search party made of several other animals: an echidna, a wallaby, a platypus and a wombat. They all look for Splasher in places where they would normally find their favourite food. In this way, children are introduced to habitats and feeding habits of these animals. Naturally, there is a happy end, and Splasher is reunited with her family. This story would help the little reader get to know basic information about native Tasmanian animals. Personally, I felt there were too many names of the characters to remember, but children may find the onomatopoeic aspect amusing and entertaining. Thank you to NetGalley and Trafford Publishing for theARC provided in exchange for an honest review. 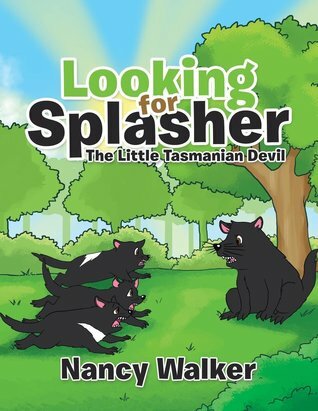 Splasher, a Tasmanian devil, is missing. After playing hide and seek, his siblings can't find him. All the other Australian native animals go looking for him. They all go looking in their own habitats, where they would find their own food, which is not a big help in finding Splasher. Eventually he is found. We enjoyed the story and learned a bit about native animals in Australia which was fun and interesting. I did explain to my grandson that the illustrations were made so the animals looked cut Splasher, a Tasmanian devil, is missing. After playing hide and seek, his siblings can't find him. All the other Australian native animals go looking for him. They all go looking in their own habitats, where they would find their own food, which is not a big help in finding Splasher. Eventually he is found. Cute pictures can not save a book. And it does have cute pictures, and you would think it would have a cool story to go along with it. 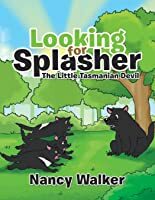 Splasher, a Tasmanian devil, is missing, after playing hide and seek, so all the other Australian native animals go looking for him, though their logic is very, well, animalistic, as they look where they find their food. I suppose this book is to teach us about different Australian animals and what food they eat. That is the only reason I can see for us to know abo Cute pictures can not save a book. I suppose this book is to teach us about different Australian animals and what food they eat. That is the only reason I can see for us to know about grubs and things. It is just a boring book, with cute pictures. And oh, yeah, they do find Splasher in the end. The pictures in this book are kind of cute and the story is okay although there isn’t much excitement even though Splasher is missing; there are a few things childre I chose to read this book after receiving a free e-copy from the author. All opinions in this review are my own and completely unbiased. Kind of scary story for littles. Cautionary tale. Little tasmanian devil plays hide and seek with little brothers and sister. She gets sleepy and falls asleep really well hidden in a log. Scares her poor family and friends as they search for her. Maybe remind children not to hide too well??? intros many animals from Down under children may want to learn more about. Illustrations are nicely done and cute! I read this book to my 5 year old and he liked it a lot. It teaches a good lesson of helpfulness and working together. My son’s favorite character was the wallaby and I liked that the names of the animals included the type of animal they were ( Pozz Possum). How can you not love these cute little devils and their adventure? Splasher is lost and everyone must go looking to find him. The illustrations are so cute and the story is adorable. My kids loved this story. I highly recommend this. The book has a lot of silly named characters that would make children laugh, perhaps but the story is not strong. I know that there is some educational descriptions laced in but it just did not hit the mark for an amazing children's book. A big thank you to NetGalley and Trafford Publishing for the ARC. I am voluntarily reviewing this book. This is a children's book. It's an ok story, it's different because it utilizes Australian animals. The graphics were just ok for me. It was hard to tell if was a Tasmanian devil. I give this a 2.5. I was disappointed.